Nutrislice Menus can be published to your smartphones, tablets and computers by downloading the Nutrislice mobile app. Nutrislice inspires healthy eating choices and provide nutritional information on all SCS menu items. Menus are going digital with the link to Nutrislice! 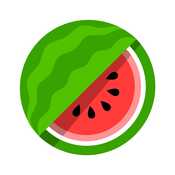 Click here to view the Nutrislice website or click on the watermelon . april 2019 snack menu p.M.